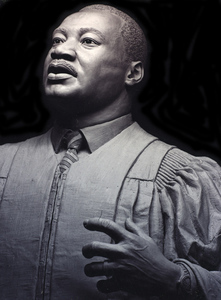 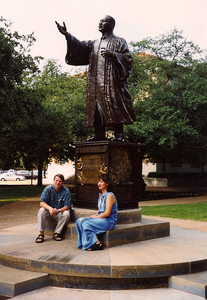 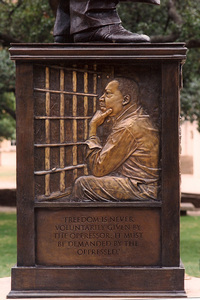 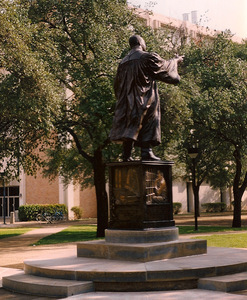 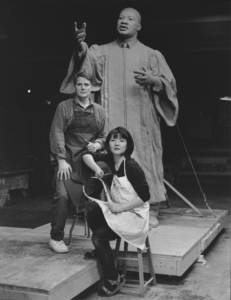 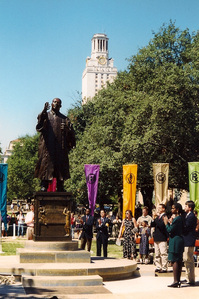 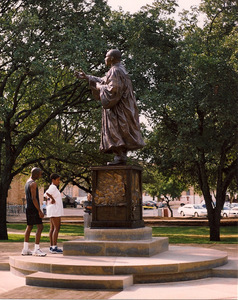 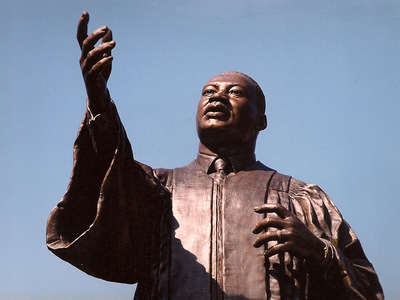 The Dr. King monument was a nationwide competition at the University of Texas in Austin, Texas. 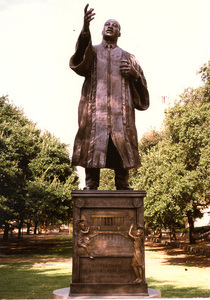 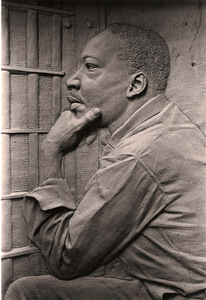 Dr. King is shown as a Baptist preacher and as a Doctor of Theology in his robe. 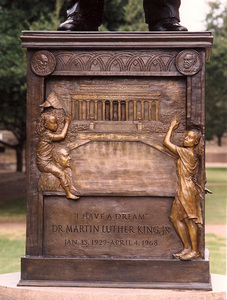 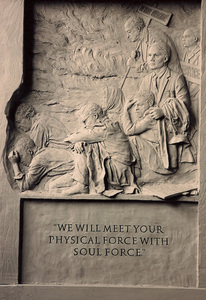 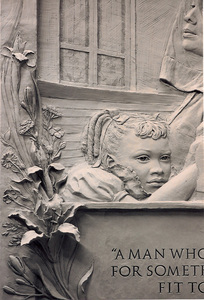 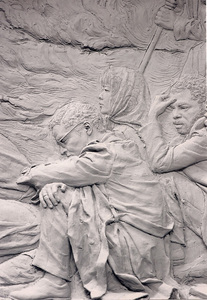 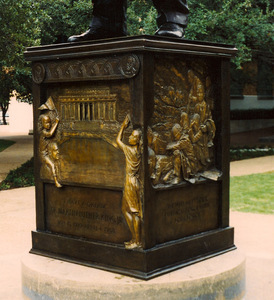 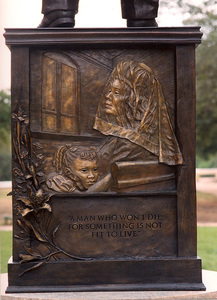 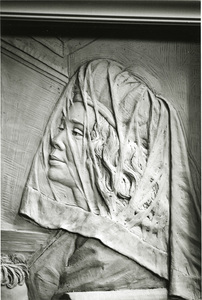 The bronze pedestal shows relief sculptures representing important events in the Civil Rights Movement.